Here at Valdes Gardens we get fresh sod in about twice a week to ensure the greenest and freshest possible sod. We usually get shipments in the beginning of the week and on fridays for the weekend. The regular grass for full sun is called the st. augustine floratan #1. This is the easiest maintenance grass that has the best drought tolerance and pest resistance. The other type of sod that we have but needs to be special ordered is the palmetto which is used in areas that are have a bit more shade. It can’t be shade all the time however. This shady grass needs a minimum of 4 hours of sun to keep going healthy. If you have an area that has less sun than 4 hours a day, then the best option is either mulch or decorative rocks since the grass will end up dying off in a year or two. Each piece of sod is about 1.5′ wide by about 2′ long. Each piece has a square footage of about 2.7 sq.ft. So to calculate roughly how many pieces your project would need, just get the total square footage of your area which is obtained by multiplying the width in feet by the length in feet. This multiplication of these two numbers will give you your total sq.ft. You then divide that number by 2.7, and the result is roughly how many pieces you would need. Each pallet of sod is about 500 sq.ft. So for example if you have an entire yard to do and you have something like 6000 sq.ft. you would divide the total sq.ft. of your yard by 500 and in this case you would need 12 pallets for 6000 sq.ft. 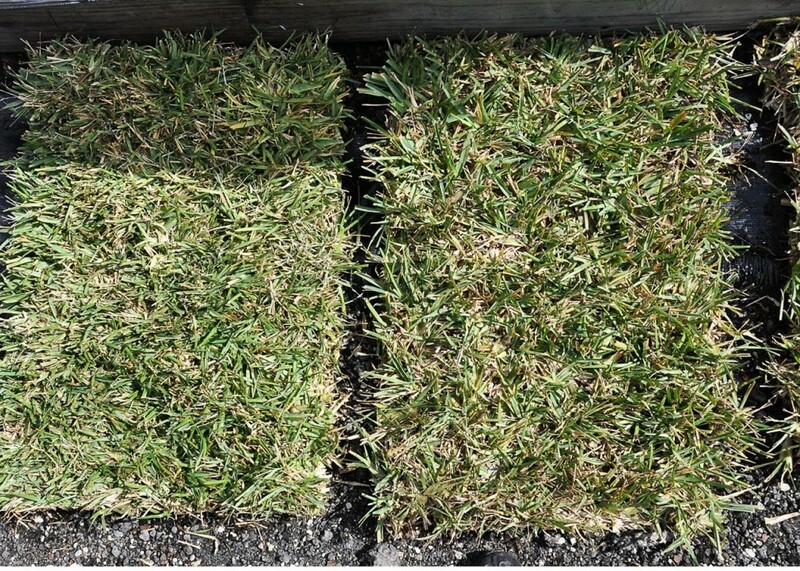 The sod should ideally be installed over a weed free and bare ground level surface, preferably fresh topsoil to give the new sod the best possible conditions for growth. You can also use lawn sand if you need to raise the elevation of the area to be sodded more than a few inches. Once the sod is installed which is one piece right up against the others and preferably each line staggered like interlocking bricks on a building with no gaps in between, you must water your new lawn every single day for the first 2 weeks. Usually at night is best to water no more than 30 mins. Make sure all of your sprinklers work and visually make sure that all of the pieces of sod are getting water. On the 3rd and 4th week you would water every other day. And after the first month, you can just do regular watering like twice a week unless its a really hot week with no moisture, then you can add one more day. Here at Valdes Gardens we always strive to sell the freshest sod possible. We usually get shipments of sod that was cut from the farm only hours prior to ensure the best conditions for the sod to keep growing strong. Delivery and installation available. Always fast and courteous service. currently out of sod until the quality available is acceptable. 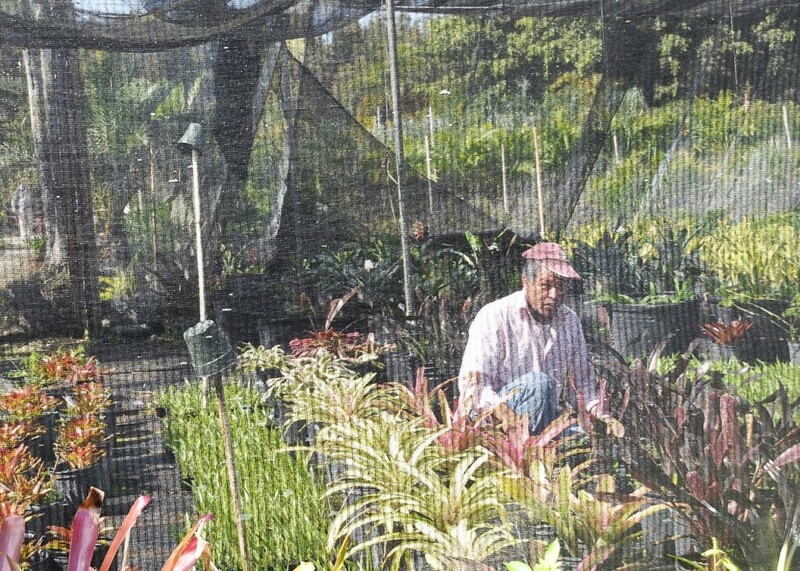 During the winter season the quality is usually horrible so we suspend selling it until all the cold weather goes away and the sod is able to grow strong and healthy. Keep checking back to see when we will have good quality sod again. This happens every winter, not a good time of year to install new sod if you want nice results.